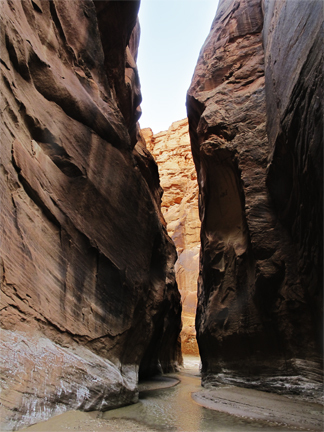 I’m back – yes, I went away for 2 weeks: 5 days of driving and 7 days of hiking Paria Canyon in southern Utah. Clean boxes and frames that I pulled from the hives in the Spring Cleaning. I take my hive tool with the wide curved end and remove any heavy wax/propolis build up. I don’t get obsessive about it. I just want a somewhat tidy environment for the new frames. Scrape any wax build up on the inside of the box. All frames that have been used for 5 years in honey are out of the equipment. 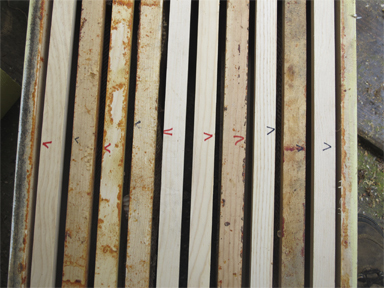 All frames that have done only brood for 3 years are removed as well. 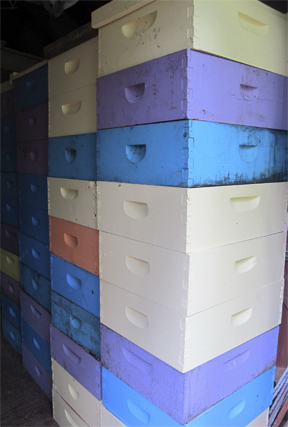 Frames that have done a bit of brood, a bit of honey, get put into honey rotation. I don’t use queen excluders, so the queen puts brood wherever she wants to in the hive. On cleaning I, again, just scrape off any big build-ups on the bars. Sometimes it seems like I’m doing a beekeeper’s version of the myth of Sisyphus. For eternity, he had to keep rolling a stone up a hill, which would then fall back down, and then he’d push it up again. With me in the spring it’s : clean boxes and frames, store neatly, then take boxes and fill them with the frames. The above will (and should) seem a bit strange. But there’s a reason. Place the super on the hive. When I come back to check the super in 2 weeks, if the box is being drawn out and filled, I will THEN frames 1 and 2 switch places, and 9 and 10 switch places. In effect, I am working the box as an 8-frame box until that moment. I find it helps to keep the comb to a uniform depth as they are drawn out. Chores done – Off to hike. Having completed all that, I jumped in my truck, drove to Utah and had a marvelous hike in one of the natural wonders of the world. Next blog will be about that trip – I did see some bees…. 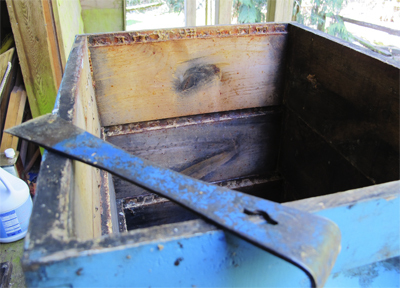 That’s the news – admittedly a bit belated – from Brookfield Farm Bees And Honey. How’s the honey flow going in your area? Big Leaf Maples are still going here and the Cascara is about to bloom. 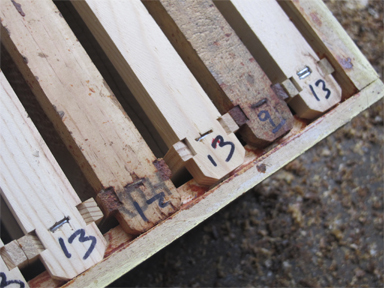 This entry was posted in Beekeeping, Hive Components and tagged Beekeeping, Brookfield Farm, honey, Maple Falls, preparing, supers, Washington. Bookmark the permalink.